I have not been able to leave my ball winder alone. Last night when I got in, the first thing I did was pull out a skein of KnitPicks Comfy and try the winder one more time. I am determined to get this thing right. The picture below is of my first attempt. If it looks wrong, that’s because it is. I have no idea where the center pull went to on this one. The main problem I’m having is when the ball gets to a certain size, the yarn starts slipping under the winder instead of adding to the ball. Next is my second attempt, which was with my Malabrigo yarn for the shawl. As Malabrigo comes in a hank, I sat down on the floor, stretched the hank out across my slippers, and held the yarn that way as I don’t have a swift. 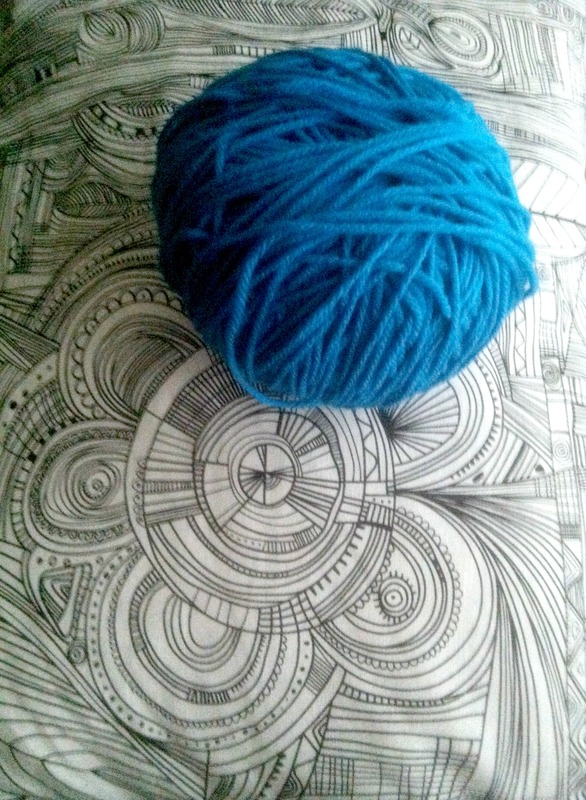 It took a bit of work and was almost an ab exercise with the number of times I had to grab the yarn. 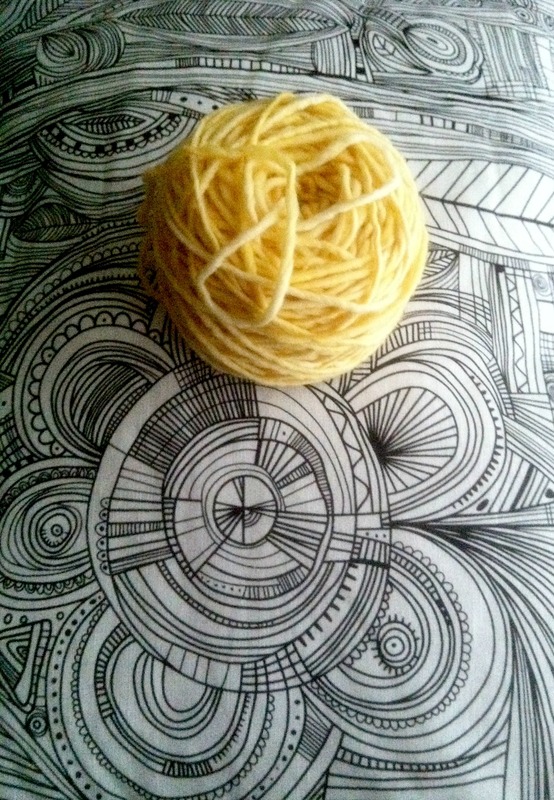 I ran into the same problem that time; the yarn kept slipping under. Still a bit messy, but I know where the center pull is. My third attempt was last night. 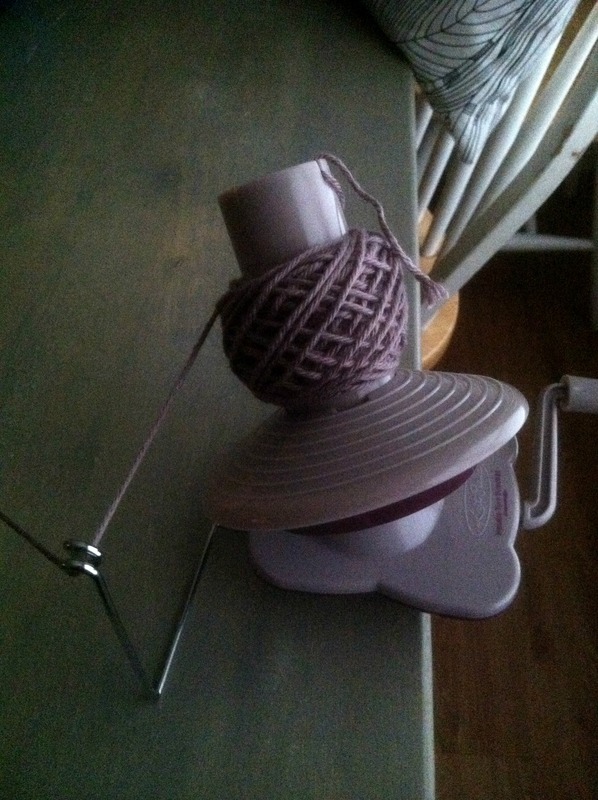 I pulled out the KnitPicks skein and set up the winder. These skeins are very small, so I hoped I wouldn’t run into the same issue. I did, but I found I could guide the yarn a bit more with my finger without adding tension to the yarn as it wound. I tried my fourth attempt this morning. This was also with the Comfy yarn. You’ll never guess what clever old me found out while setting this up on my kitchen table. The wire bit where the yarn threads through moves. I’m wondering if this hasn’t been my problem all along. I only had time to get the thing started (which admittedly, takes seconds), but we’ll see how the rest goes tonight. I did find a good tutorial to show how the KnitPicks Ball Winder works, and I recommend checking it out. It’s from the KnitPicks website. I do appreciate that they put videos with products that might be a little trickier to use. I did get some knitting done last night, but not much. My stocking is now about three inches longer than it was. I worked a couple of rounds on my shawl. 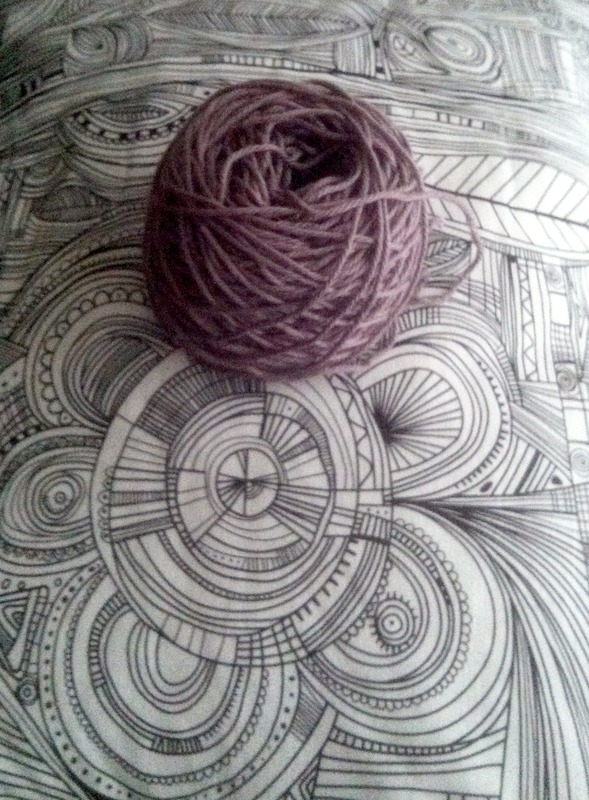 The big thing was that now I had the ball winder and yarn, I had to get started on my mom’s shawl. I cast that on last night and worked about eleven rows (this is a circular shawl, so that’s not really a lot of stitches just yet; otherwise, I’d feel more accomplished). Tonight I’ll continue work on her present as her birthday is now less than three weeks away. Nothing like a good deadline! Hey, I got my ball winder just like this today, and I can put the handle on just fine, but I’m having trouble putting the thing on it that attaches it to a table…the clamp thingie. Think you can help out? I wanted to throw mine until I figured it out lol Then it’s like, wait. Oh!